According to clinical studies and potential mechanisms (2009), it was revealed that having higher levels of the said Vitamin D, reduces levels of “bad” cholesterol. Vitamin D is a fat-soluble substance that efficiently absorb other vitamins and minerals and can come from sunlight. 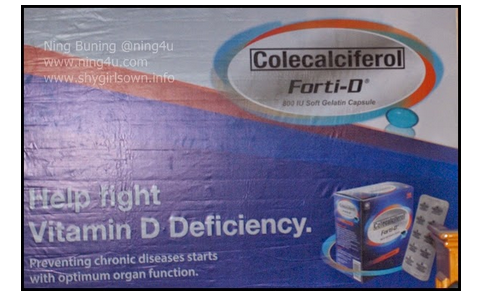 People with poor eating and increasing indoor lifestyle recommended to take daily supplement of Vitamin D, like UNILAB's Forti-D (Colecalciferol) available at leading drugstores nationwide for 6.50Php only. They also suggested taking the Vitamin D3 type of supplement because it is naturally occurring and easy for the body to process, making it the safer and preferred choice of Vitamin D supplement.